Without a robust system to confirm that restoration projects are in place and functioning as they should be, we wouldn’t know whether an ecosystem market was achieving its intended results. We define verification in this USDA-funded report as the practice of confirming whether an assertion is true under an agreed level of scrutiny. In other words, did you do what you said you were going to do? The challenge in designing an effective verification process can be the balancing act between rigor and cost. How much verifying is enough? We think we’ve come up with a good idea. 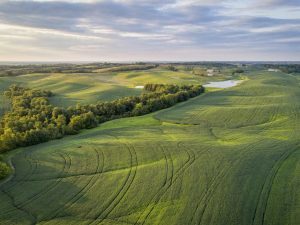 Verification systems are used by eco-labeling organizations (think USDA Organic), grant and cost-share programs (e.g., USDA Farm Bill Payments), and corporate sustainability programs. For example, when REI committed to zero waste-to-landfill by 2020, they designed a process for tracking and confirming whether that actually happened. 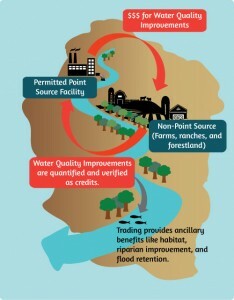 Verification confirms that credits are real in water quality trading programs. 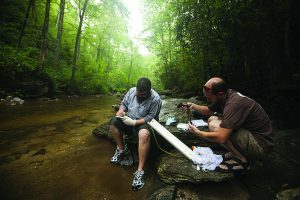 For a refresher on water quality trading, check out this blog post. Verification is also a crucial part of confirming that credits in environmental markets are real. 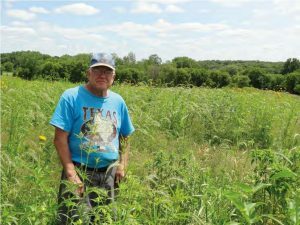 It can be difficult or impossible to see certain environmental benefits provided by restoration projects, like carbon sequestration and decreased nitrate leaching. 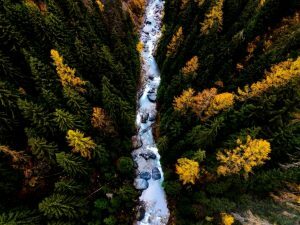 Water quality and carbon trading programs use verification procedures to ensure that credit-generating projects, like riparian reforestation and animal exclusion fencing, are constructed and maintained effectively over time (Need a refresher on water quality trading? Read this post). 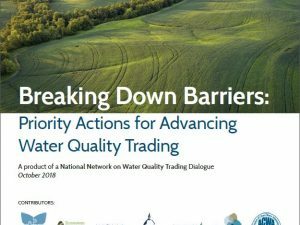 This gives confidence to regulators, permittees or other credit buyers, and the public that credits represent actual pollution reductions (Read this post for the who’s who of water quality trading programs). Another good reason for verification is that credit-generating projects tend to be implemented in dispersed locations across dynamic landscapes, so it’s hard for any one photo or measurement to fully demonstrate that a project is in place and functioning as promised. We developed and have administered the Ecosystem Credit Accounting System (ECAS) General Crediting Protocol since 2009, which covers how to create, buy, and sell credits in ECAS for water quality, aquatic habitat, and upland habitat. The “Verification Protocol” section was developed based on examples from the carbon credit world. It has been applied to riparian restoration and animal exclusion projects across Oregon and used as the basis for other trading programs across the country. Under this verification protocol, every project goes through an initial three-step process: 1) an administrative review of project eligibility; 2) technical review of the credit calculation; 3) a site visit to confirm implementation. For multi-year projects, monitoring reports are reviewed annually and site visits are conducted every five years for as long as the project is generating credits. Developers of any verification system eventually face the inherent tradeoff between the rigor and the cost of verifying a restoration project. The more resources–time, money, expertise–invested in verification, the greater confidence users can have in the result. On the other hand, lengthy and complex verification systems slow project implementation and may divert funds from making bigger or better environmental outcomes. And, since some actions, like upgrading to sprinkler irrigation, can produce environmental benefits for decades, verification may involve several administrative review periods, multiple site visits, and ongoing monitoring of every project in every year. This becomes expensive. Quickly. Does every project receive a site visit? How often? Are calculations or models re-run to confirm accuracy? How much due diligence is done to confirm that eligibility documentation is legitimate? Verification systems for environmental credits need to balance these choices. Drawing from our experience verifying trading programs, we have been brainstorming ways to lower the cost of verifying water quality trading projects. That’s when we started thinking, why not use a program audit? Why a Program Audit and What Would it do? A program audit would shift verification from project- to program-level. Just like the system described in our verification protocol, an audit would be looking to confirm that credits are real. However, where the traditional system confirms that every credit from every project is accurate every year, an audit approach would evaluate the quality control systems that the program has in place and then investigate a subset of individual projects. That means less time reviewing each project’s eligibility documentation and credit calculation, and fewer site visits would save labor and expense associated with repeated trips to the field. Confirm that an independent reviewer visited a sample of projects, based on risk, and uncovered no significant inconsistencies with the projects that were reviewed. This draft audit hasn’t been tested, but it’s ready to see the light of day. At Willamette Partnership, we rely on collaboration and partnership to build robust products. So now we’re looking to you, partner, to test, poke, and prod this draft into something that can increase the pace, scope, and effectiveness of conservation. 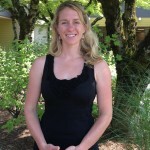 About Laura Wood Laura Wood is a summer intern for the Willamette Partnership’s Clean Water program. Laura is graduate student concentrating in water resource management at Duke’s Nicholas School of the Environment. She holds a Bachelor of Arts in Biology from Colgate University.